Aloha. Thank you for the support. The fight continues, Log into http://www.kkcr.org to listen to Songs of Sovereignty on Wednesdays 9-11 AM (Hawaii time) or Na Leo Hawaiian Issues on Saturdays 1-3 PM. They will keep you posted on this, the latest of many bulldozing escapades on sacred land here. This is only one of many things they have done, are doing, and plan to do in this area, which is one of the most sacred on Kauai, and one of the oldest sacred areas in Hawaii. 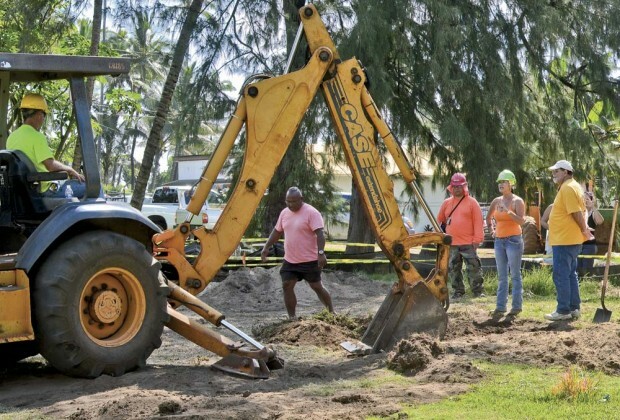 Mahalo nui for writing about this.. if people are interested there is a video of the excavation here http://www.youtube.com/watch?v=fCFLG9uyO5E Grateful for the solidarity! Sad that we are facing the same desecration. Sending aloha to you guys in Vallejo. This gives a reverse meaning to the “Grandfather” clause in land statutes. Unfortunately, they have forgotten the Grandfather.